Here's an interesting record that doesn't know where it's from. The label says "Made In the U.K." and the back of the picture cover says, "Made In Germany." It's also a 10", one of those rare, nebulous records that lives somewhere in between the common 7" and the ideal 12". But who cares? It's a neat, obscure record by possibly the greatest rapper of all time, Grandmaster Melle Mel. Well, as you can see, it's not just by Mel. It's also by Keith LeBlanc. If you don't recognize that name, he's the drummer from the original Sugarhill Band/ Fats Comet, and who's been involved with a ton of projects since then, including this one. 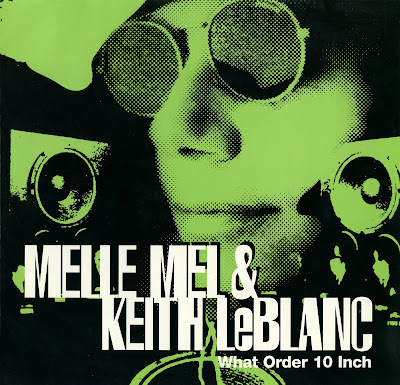 This single's on his own imprint, Blanc Records, and all the B-sides are by him without Mel, so even though Melle gets top billing, I suppose this is really more of a LeBlanc record. But his name comes first, 'cause he's the man we're all here to hear, right? All of Mel's records were of course on Sugarhill and backed by the in-house band, so he's no stranger to working with LeBlanc. But it gets a little more complicated when we flip this record over and see on the back that the song is actually credited to Interference, featuring Melle Mel and Bee La Key. Interference is a duo LeBlanc formed with a UK DJ named Tim Simenon. And Bee La Key is some guy who also sang vocals on Interference's previous record a couple years before. 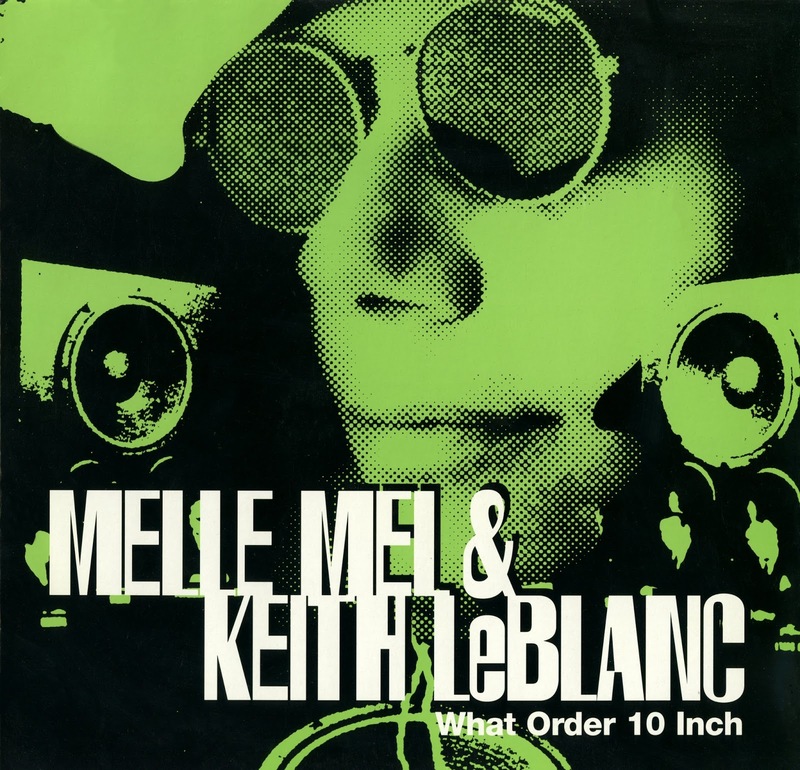 Basically, he's the hook guy here, Mel does all main verses, LeBlanc does the production and percussion, and there's some very sparse scratching by Simenon. Also in the credits you'll notice bass is played by Doug Wimbash, who's also from the Sugarhill Band. So what's this song like? It's pretty cool! Melle Mel was sort of working his comeback around this time... not that he ever entirely left the game at any particular point; he's always kept his name in there. But this was right before his album on Str8 Game Records with Scorpio, and well before Die Hard. He was already resurfacing to do guest verses here and there, but this was something we weren't getting from him. Really serious, conceptual raps that weren't just "hey it's me, here to represent the old school" tag, but a song with a message and creative ideas. This was a real, new Melle Mel record proper. It's about, uh, the world order and the dangers of dystopia, I guess. It reminds me a lot of Afrika Bambaataa's Time Zone record, "World Destruction." Not quite as punk, but kind of a futuristic theme in the instrumentation, ominous vocal samples and warnings about "the hand that reaches across the land." There's a lot of imagery, religious references you have to be pretty plugged into to get fully and plenty of poetic license (like, I needed google to figure out that "the man that shares his birthday with Nimrod" means Jesus Christ), so I don't know if it's possible to take it as seriously as the artists probably want you to. It feels more like a science fiction experience when we're meant to be relating to the problems of our times (he's actually rapping about real social issues, of course, not beings in outer space); but Mel shows he can still paint some vivid pictures with his words. His style reminds me of his most famous verses from "Beat Street" and "The Message," and it's not any worse for being dark and spacey. And the instrumentation has to take more than half the credit or blame for the futuristic vibe anyway. It's pretty original, with a lot of live guitar and stuff, but thankfully never straying too far from a traditional hip-hop groove. The cuts are nothing, though. I mean, there isn't anything wrong with them, but they're so minimal they barely have the opportunity to enhance or distract. They could've just sampled a little scratching sound and pressed the button once every two and a half minutes and gotten the same effect. And that takes us to song #2. No Melle Mel this time, unfortunately. It's just an instrumental. But it's still worth a listen. This time it's not Interference, but just a LeBlanc solo record: "Point Blanc (A. Sherwood Remix)." I've never heard the original, though I looked it up. It's from his 1992 album, Time Traveler. Anyway, it's another dark, semi-spacey kind of track, but a bit more down to Earth. The hook comes from a recurring Rakim "Let the Rhythm Hit Em" vocal sample, and there's some rudimentary scratches. But it's mostly some interesting drums and keyboards and stuff. 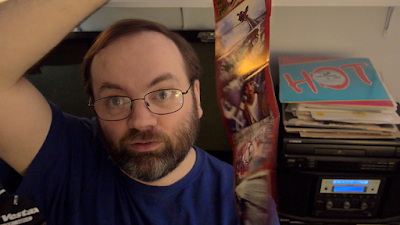 It kind of works as a cool "What Order" reprise, though it doesn't actually technically reprise that instrumental. Then the B-side is a bunch of original, not very good break beats. Listening to them once was more than enough for me. But side A I recommend. Side A is dope and interesting. Instrumentally, what these guys were doing strayed a little too far from the hip-hop formula to ever be a hit record. But Mel killed it, and these guys gave him some pretty compelling background music. It's definitely not for the mainstream, but if you've ever wished Mel kept making serious records and not just token efforts and name checks, I think you'll be pleasantly surprised by this. Something a little off the beaten path. 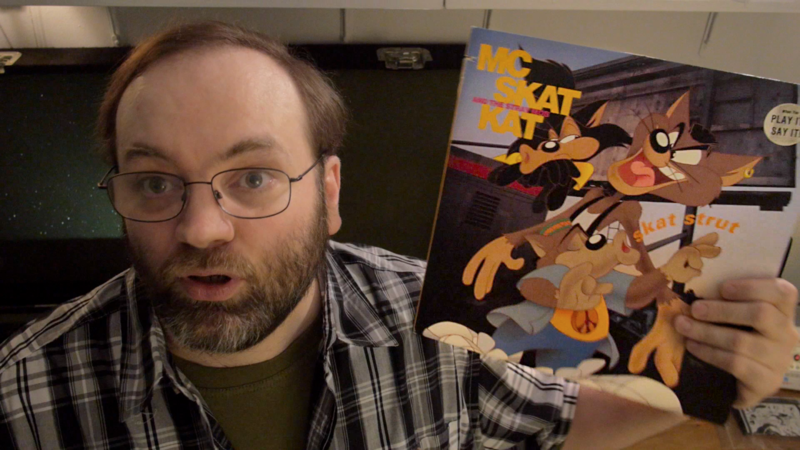 Alright, I'm still in a 90s throwback frame of mind. But how can I get even more 90s than Y'all So Stupid? I had to do some serious digging in my crates cardboard boxes, but I believe I've found it. 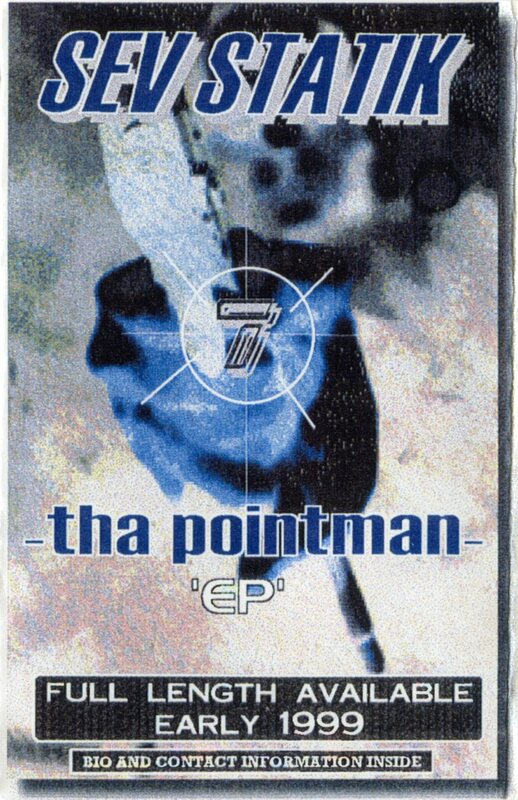 This is the 4-song cassette-only 1998 debut of Sev Statik* called Tha Pointman EP on Tunnel Rat Records. Sev Statik is a Christian rapper, but - whoa! Wait! Where ya goin'? Hang on, I was going to say yeah, he's a Christian rapper, and he does definitely drop references to being saved and refers you to specific bible verses ("don't let the index attack/ check Romans 3:23 before you do that") But his ethos - at least on this EP; I'm not going to try and speak for his whole career - is more focused on real, underground Hip-Hop, or "preserv[ing] Hip-Hop's true essence" as he writes in the liner notes. In other words, you can totally nerd out on the 90s backpacker vibe without having a vested interest in any particular religion. This EP opens with a fantastic loop that can go head to head with the best samples dug up by any of your favorite 90s producers, on a song called "Speak Life." By the way, there's also a song called "Speak Life" on Sev's first full-length CD, 2002's SpeakLife. But that's actually a totally different song, both lyrically and instrumentally. He references that song in this one, though ("and Romans 3:23 is still in effect"), so really, you could consider that one "Speak Life part 2." 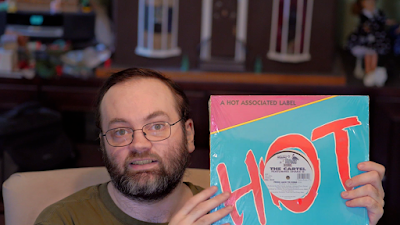 It's not bad, the beat's cool but not as hot, and that version's got a sung hook which is thankfully absent on the original, which you should seek out instead. "I got Five Percenters saying, yo, that devil's no joke!" "Some say, due to my exterior, it's not in me to serve the lord or speaking life is not in my nature... got 5% of y'all believing all caucasoid MCs are deceiving you." "When the next man says, yo, you rhyme good for bein' white,"
"Go on home, son, tell your mom who ripped it. Don't be ashamed to tell her this Anglo Saxon did it." ...In fact, the whole song "Rebuild" has a hook that goes, "white lies, under these blue skies, blurring my vision. I keep it ill and rebuild." And I think the "white lies" he's referring to are meant to be of the "white guys can't rap" variety. But there's actually some strong, compelling writing as he tackles major social issues and soul searches, "like OJ, white people lookin' for a lynchin', all angry and shook, now there's something wrong with the justice system? While this man's life seems not fair at all, now you know what it means to say free Mumia Abu Jamal." And he sounds good even when he's just spitting freestyles. There's a low-fi quality to his sound which is probably 100% due to the circumstances of recording his earliest homemade songs, but it only adds to the atmosphere of a nice, underground rap tape with crispy drums and crackly samples. And Sev Statik is still doing it to this day. I've heard a little of his subsequent work, but I'll be honest, I haven't followed his whole career to really address it thoroughly. Apparently he fronts a rap rock band called Goldtooth? Yeah, I don't need to hear all that. But I'll still hang onto this tape. Even if he was a little young lyrically and even if times haven't been the kindest to the the ultra-earnest backpacker era, it still sounds good to me. So keep an eye out for this one in the wild; I think you'll find it's worth picking up if you see one. And if you're a collector of this period, man, it's gold. *I was googling around, and some sources say this is actually his second EP. If that's true, the first one must be some super rare "had to have copped it off him personally" kind of release. But more likely, since they call his supposed previous EP Speak Life, and "Speak Life" is the first song on this EP, I think they might just be referring to this same tape.